The risk of national power interruptions continues to exist well into 2019. Homeowners should keep a watchful eye on Eskom's load shedding schedule and follow the power utility's social media feeds for any announcements so that plans can be made if a blackout has been scheduled for your area. To avoid any unfortunate appliance failures, it is advisable to unplug all appliances to protect against any electric surges caused by the power being reactivated. Even if no load shedding is scheduled for your area on a given day, it is advisable to unplug your appliances in case the utility announces one and you are unable to get home in time. To avoid being locked out of your own home, make sure to carry the spare manual override keys for your electric gates and garage doors whenever you leave the house. You might also want to purchase a glow-in-the-dark key ring to put on your keys so that you're able to find them if your power gets cut in the evening. These are a few of the items you're going to want to stock up on so that you're able to endure the time you have to spend in the dark. These days, we all keep a torch in our back pocket in the form of our mobile devices. 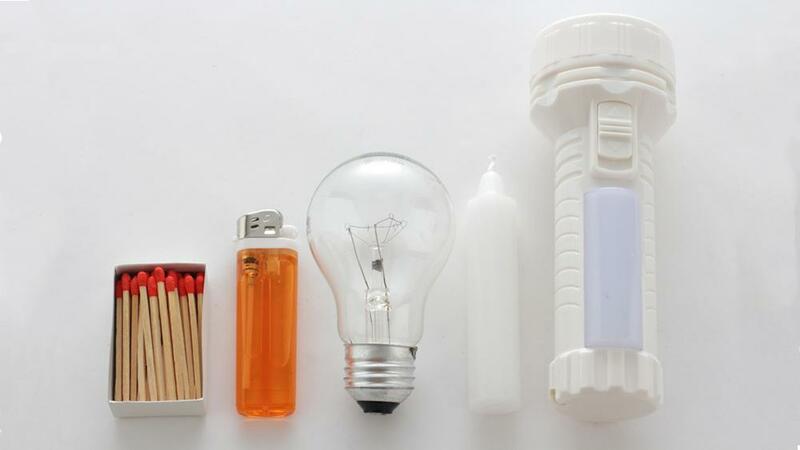 However, in case your device happens to be running low on battery power, it is advisable to have a torch in an easily accessible part of your home. If you're able to get home before the electric cuts out, make a flask of boiling water so that you're able to enjoy a hot beverage while you wait for the power to return. You should also stock up on snacks or foods that do not require any re-heating or cooking, like sandwiches or salads. If you've got any foods that could spoil, you could freeze a few bottles of water and keep these in your fridge or freezer to keep things cool.